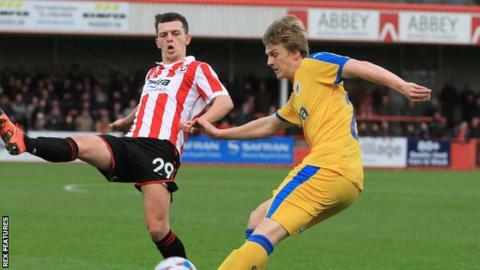 Chester have extended young Port Vale midfielder Ryan Lloyd's loan for a further month until 31 January. Lloyd, 21, has made three National League appearances since initially joining City in November, as well as playing in their 2-0 FA Trophy first round win at Telford. His first two appearances ended in defeats at Gateshead and Cheltenham. But Saturday's 4-1 home win against Torquay United has lifted Steve Burr's men to 14th in the table. The left-side midfield man's deal was due to run out at the end of this month but the two clubs have now come to another agreement.